Last weekend was a great one. It all started with a midnight van call on Friday morning. “Van call” is a term that we use to tell everyone what time the van will be hitting the road. There isn’t any room for running late. 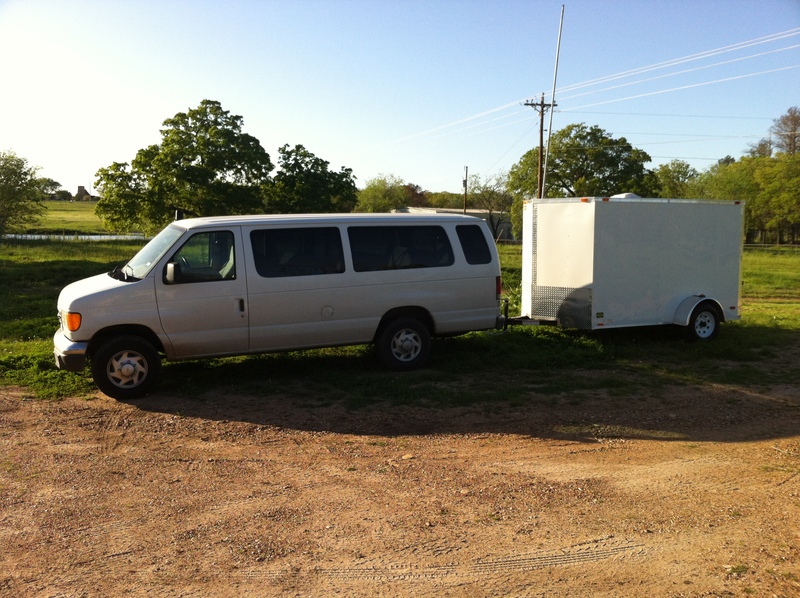 With radio interviews and load in times scheduled…the van must leave on time. No exceptions. This term can also be used if traveling in a tour bus…just simply change the word “van” to “bus”. Now say it with me…”Bus call”. Very good. Same when traveling in a station wagon. Ok, you get the idea…back to my story. Here she is, we call her “The Unit”. 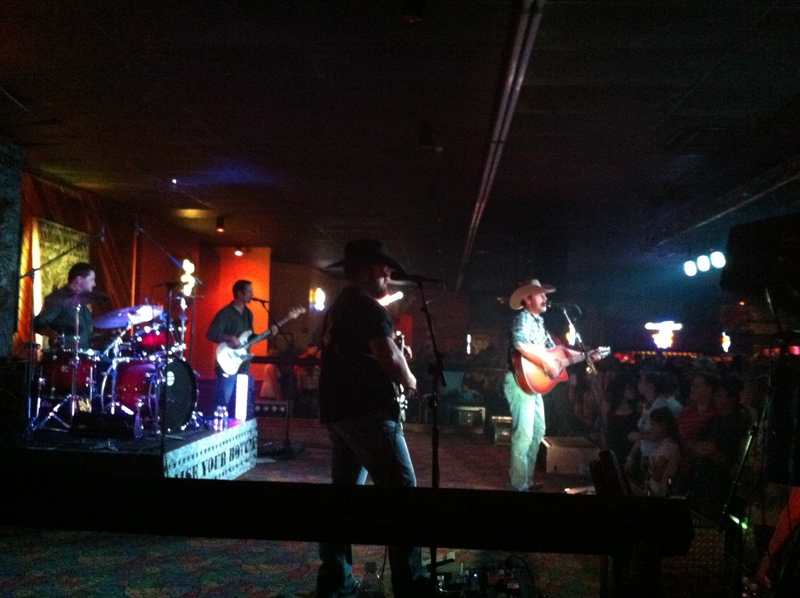 We headed out in complete darkness with our tom-tom routed to Amarillo, TX to play a show with non other than Aaron Watson. He’s from Amarillo so we knew it was going to be a sold out crowd. Indeed it was! I took the stage at 9:45 without having any rest from our all night drive. No matter how tired I am, as soon as I hear the band start playing my intro music, my adrenaline starts pumping and I feel like I’ve downed 3 red bulls. It was showtime! A few months ago the label and I decided that it was time to shoot a real music video. After many weeks of deliberation, everyone finally agreed that the song for the video should be “If Love Was A Road”. It’s been our biggest hit so far, so we should give the fans what they want. Of course, I called up my buddy Jim Shea out in Nashville to join the effort. Jim is a well known music video director and photographer that has worked on many projects. He was my first choice to produce this video. After 7 long days of shooting in the hot August sun, I was a glad to hear Jim say those three little words..”that’s a wrap!”. 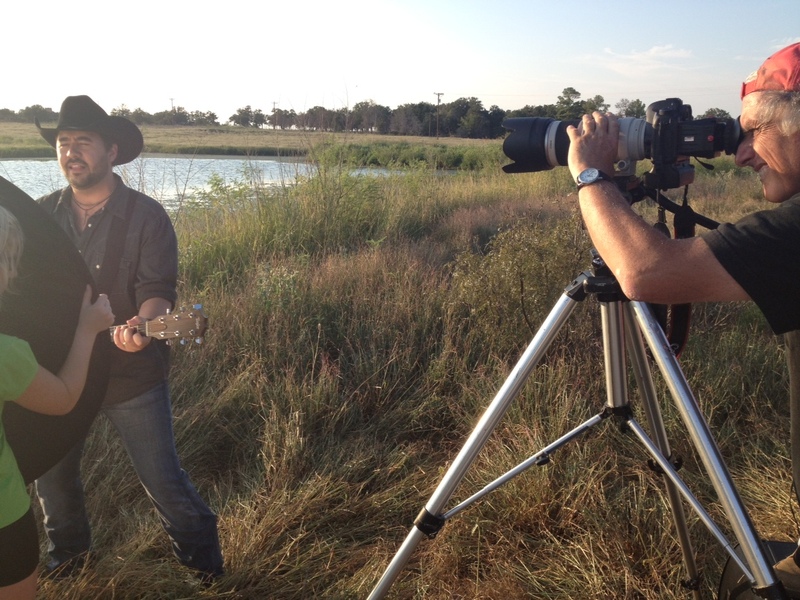 We hope to launch the video on CMT and GAC in the next couple of months. Stay tuned. During my career I’ve shared the stage with many other Texas country artists…but I got to say that Aaron Watson is my favorite person to play with. Him and his band are super nice and defiantly leave their egos at home. I think I’ve played probably 10 shows with Aaron over the years, but this one will probably be the most memorable. We took the stage in Temple at 9pm and played my songs to 500 AW fans for an hour. Going into the show, our goal was to make some fans of our own…and I think we did just that. I couldn’t be more proud of my band and crew. The show was a success! Afterwards I got to have a long talk with my buddy Aaron. We talked about Jesus, Family and just a little bit about music. It was nice to visit with someone in the industry that feels the same way I do about my faith in God and the joy of being a daddy. The fans were enough to make this show a night that I’ll never forget…but maybe more than that, it will be the conversation that I had with The Honky Tonk Kid that will stay with me. 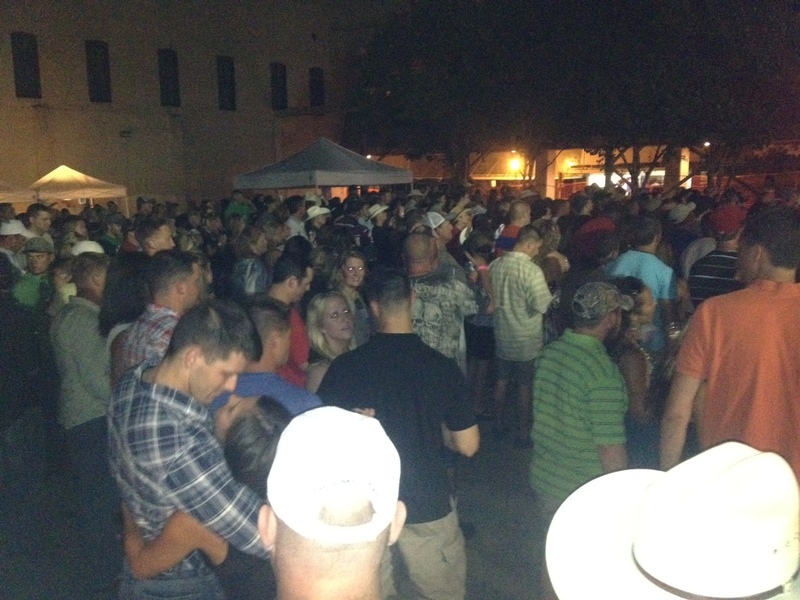 Here is a pic of the crowd in Temple. Early afternoon van call for a gig in Hunt, TX last Saturday. I’ve never been to Hunt…or if I had…I couldn’t remember it. Really pretty drive. Lots of hills and the road into town is right along the river. As we got into “town” our driver (me) must have blinked..cause we drove right by the place. I wish I had pictures to post on here. This whole blog thing is still really new to me…so I forgot to snap some for this entry. I’ll do my best to describe the place. It had a solid concrete stage with a slab for a dance floor in the middle of nowhere. There, that’s it. Maybe a few big bulb Christmas lights strung in the oak tree out front. It was super hot with just a little bit of shade covering only half of the stage. Loading in our gear made my eyes burn from sweat pouring down my face. It was all worth it though, because as night fell…people started pouring in like cattle. They were lined up at the gate for what seemed like miles! Needless to say, we played our hearts out and couldn’t have asked for a better crowd at least 1,000 country music lovers! We will never under estimate Hunt, TX again. 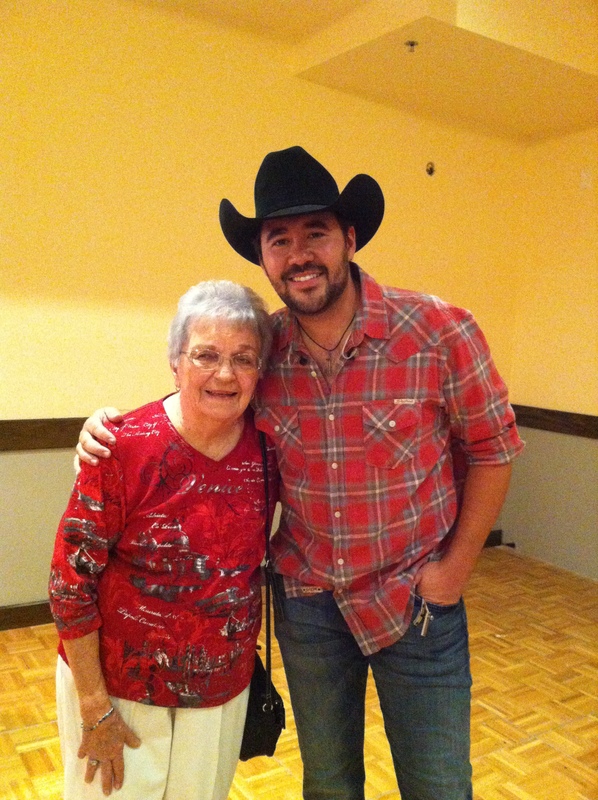 I hope to take the stage at Crider’s Dancehall again next year! 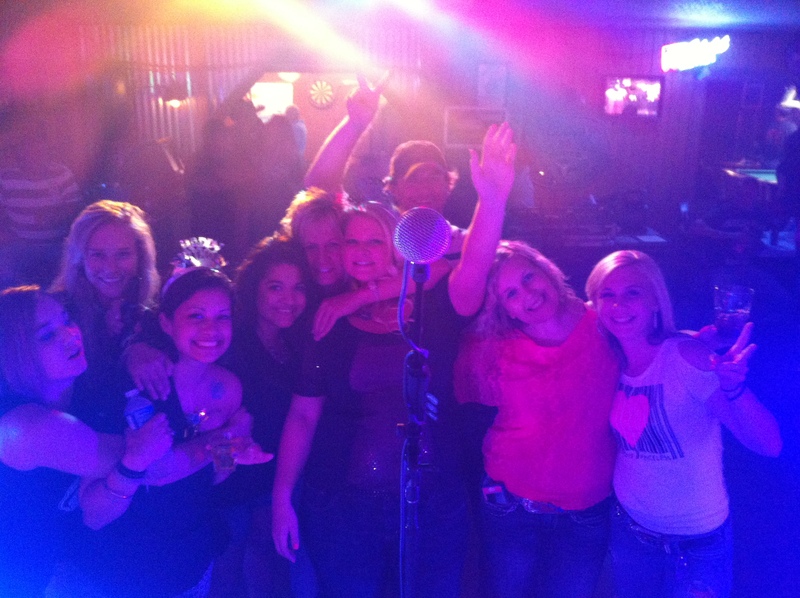 Here is a cool pic from Friday night’s show at Yoakum Gin & Feed. This was my view from the stage. Hey y’all, so over the past few weeks me and my buddy Charlie Stout have been working on a promo video for booking shows. He had mentioned that I should look into starting a blog. Well, after giving it no thought at all…I did it! I plan on writing short entries every week to give everyone an inside look at what life is like traveling around Texas playing in a country band. Exciting?!? I thought so! Everytime me and the boys hit the road…crazy things happen…I hope you’ll enjoy reading about all my adventures. Of course, when I’m not on the road…I’ll probably write about my family and my animals. I’m not great at spelling or typing…so there will be plenty of mistakes in my posts…just fyi. This Friday we head to Yoakum Gin & Feed in Yoakum, TX. 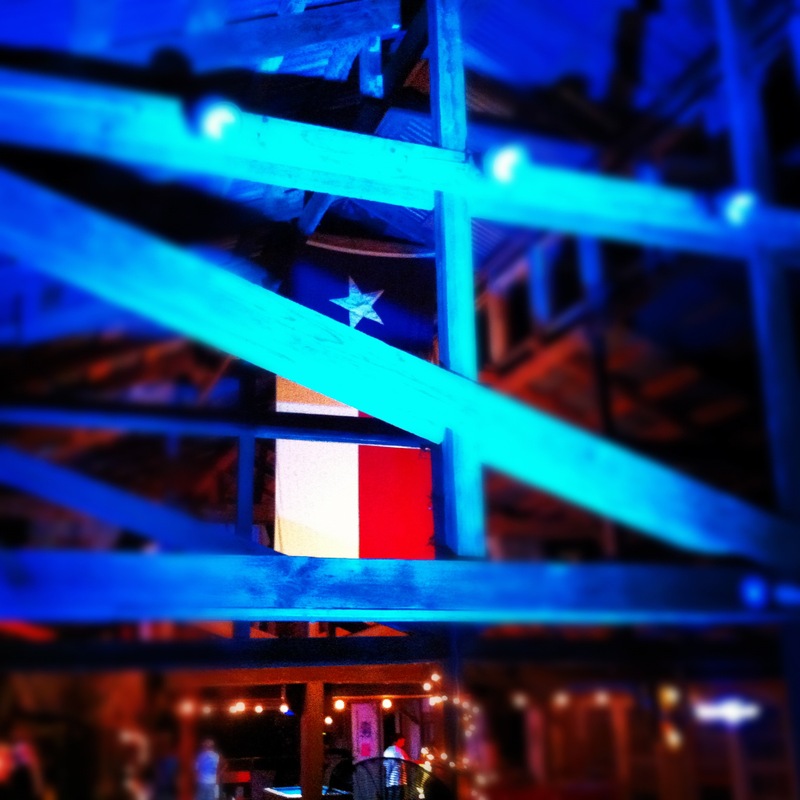 The venue is an old feed store that has been transformed into a dance hall. They have really good burgers on sourdough buns! The owners are really nice too…so we like playing there. 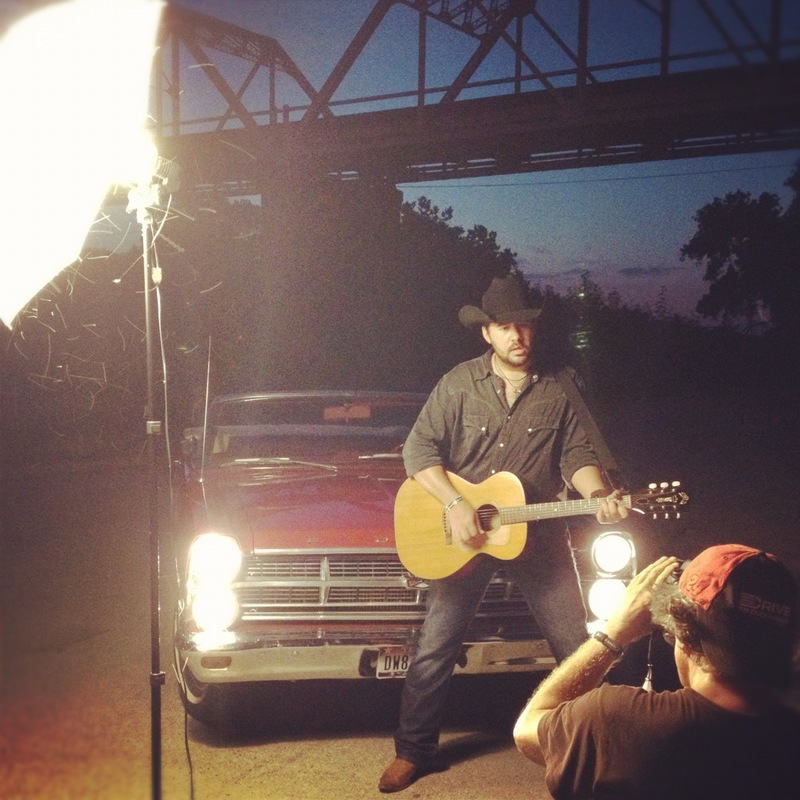 Saturday, we’ll be at Crider’s Rodeo and Dance Hall in Hunt, TX. I’ve never played there. I heard good things though…so stay tuned!